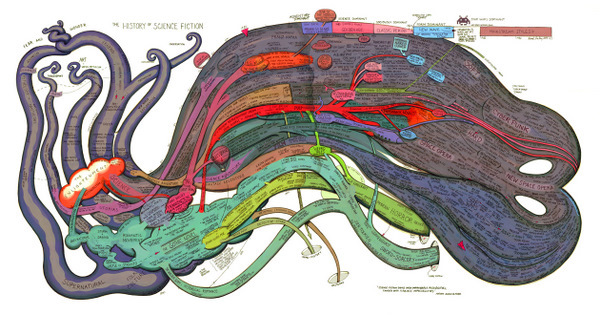 Not long ago, just when I was trying to untangle all the threads of SF history, a friend happened to send me this: the story of SF’s creation and evolution, conceptualized into this awesome organically weird map. You can see the full-size version here. Tell me about me. I want to be more alive. Give me me.